1 poster: construction paper, col., 28 cm x 22 cm. 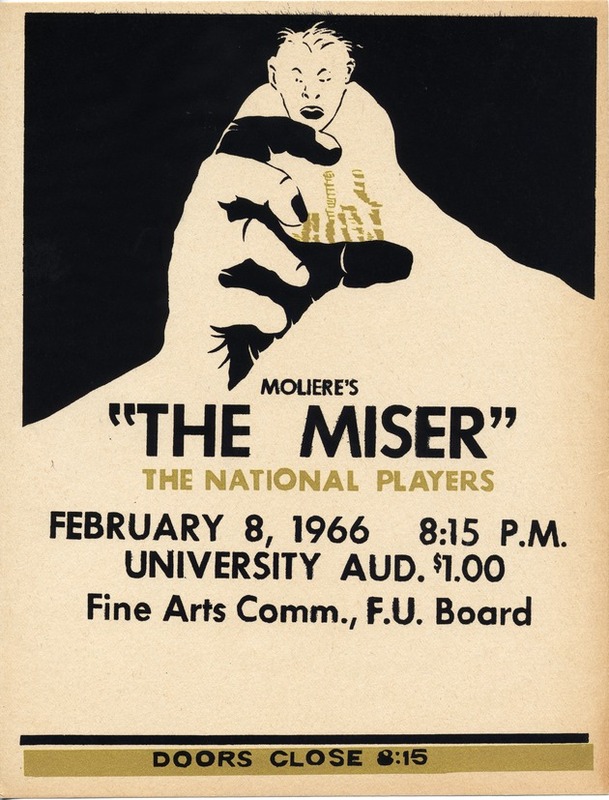 Summary: A poster advertising a play to be presented by The National Players on February 8 in the University Auditorium at 8:15 P.M. It was sponsored by the Fine Arts Committee of the Florida Union Board.